Northwest Indiana’s premiere fence company, Reeves Fence Services, Inc. specializes in the construction of high-quality fences, railings, and pergolas. 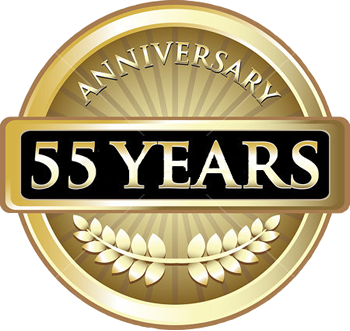 Since 1963, we have served the Northwest Indiana area by beautifying and adding to the value of our customers’ homes. As a fence company, our goal is to make your house even more of a home by bringing you picturesque fencing and railings, or erecting a gorgeous pergola that you’ve been thinking about putting up. We use only the best quality materials, and our crew members are experienced professionals. We are a licensed and bonded fence company, so you can rest assured that what we make for you will be made to last! From Aztek to Tempertech, aluminum to vinyl, we have the right materials and the trusted brands to build great and long-lasting exterior pieces for your home. 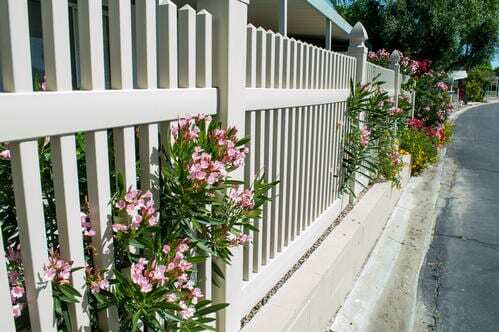 A vinyl fence is a great choice. Vinyl fences are both attractive and extremely low maintenance. Vinyl fences come in a wide variety of styles, colors, and textures. Reeves Fence Services pioneered the introduction of to Northwest Indiana 30 years ago, and remains the vinyl fence leader. 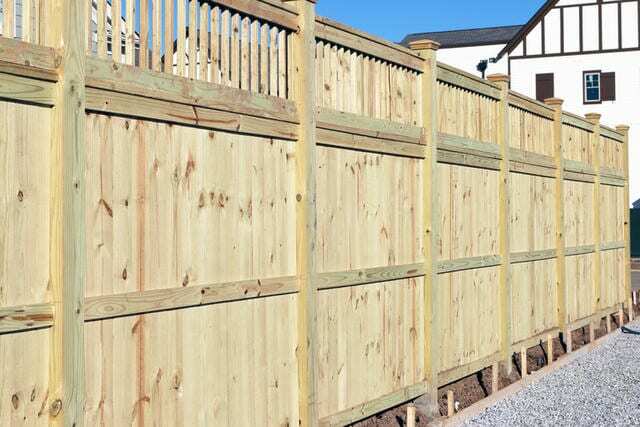 Click here for more vinyl fencing information and a gallery of vinyl fence photos. Wood fences are a long-time favorite for homeowners, and for good reason. Wood fencing can be cut to almost any height and size, and can be stained or painted any color. That means a wood fence can easily complement your home’s decor. Whether you’re looking for a traditional picket fence, a solid privacy fence, or a custom design, Reeves Fence Services, Inc. is your “go to” source for the perfect wood fence design and professional installation. Click here for more wood fence information and a gallery of wood fence photos. Wood fences are a long-time favorite for homeowners, and for good reason. Wood fencing can be cut to almost any height and size, and can be stained or painted any color. That means a wood fence can easily complement your home’s decor. Whether you’re looking for a traditional picket fence, a solid privacy fence, or a custom design, Reeves Fence Services, Inc. is your “go to” source for the perfect design and professional installation. Click here for more wood fence information and a gallery of wood fence photos. Aluminum and steel ornamental fencing offers the beauty and elegance of wrought iron…at a fraction of the cost. 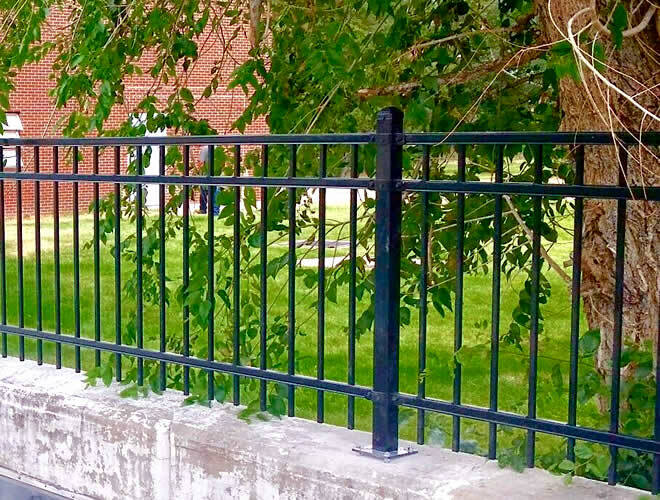 Aluminum and steel ornamental fences come in a variety of heights, colors, and styles, and do a great job of keeping pets and children safe while maintaining that open feel. Click here for more information about aluminum and steel fencing and a gallery of aluminum and steel fence photos. Chain link fencing is suitable for practically any fence application. 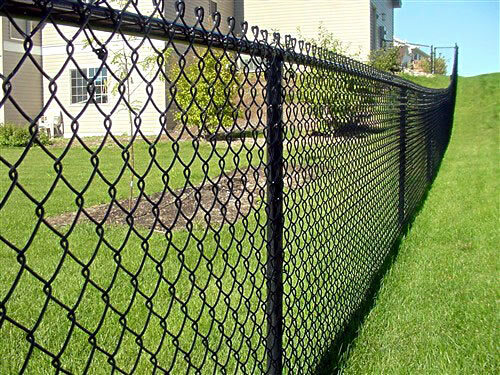 Affordable and durable, a chain link fence requires little to no maintenance and comes in variable heights and colors. Click here for more chain link fence information and a gallery of chain link fence photos. A pergola is a simple but elegant outdoor structure that adds a lot of appeal to yard. A pergola can transform your outdoor area and create a living space where you can entertain friends and family or just relax and unwind after a long day. Reeves Fence Services, Inc. are your pergola design and installation professionals. 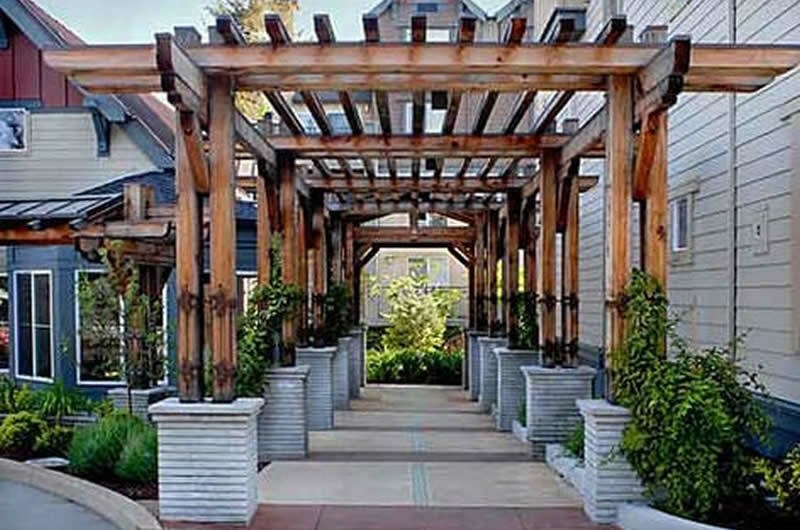 Click here for information about pergolas and a gallery of pergola photos. If you feel your home could benefit from a new wood fence, vinyl fence, ornamental aluminum/steel fence, metal fence, chain link fence, railing, or pergola, feel free to contact us now for a free estimate and consultation. Call us today at 219-322-7840 or use our convenient online info request form, and we’ll contact you as soon as possible.